Nowadays most of us are very conscious about the specs and hardware of a phone, and many of us probably don’t even care about the brand or after sales service or overall user experience. And due to that, we often compare different phone specs and hardware before making a buying decision. But, right now, what if I tell you that there will be a phone soon, that will have 12 GB RAM, 60MP camera, 1TB storage and more? Yes, we have the Turing Phone Cadenza which will offer you these. Turing Robotic Industries is behind all these and they are now working on making these unbelievable specs a reality. In terms of specifications, it can beat any other phone and even next year, when the device is gonna get launched there will be no other phone which can compete with it. 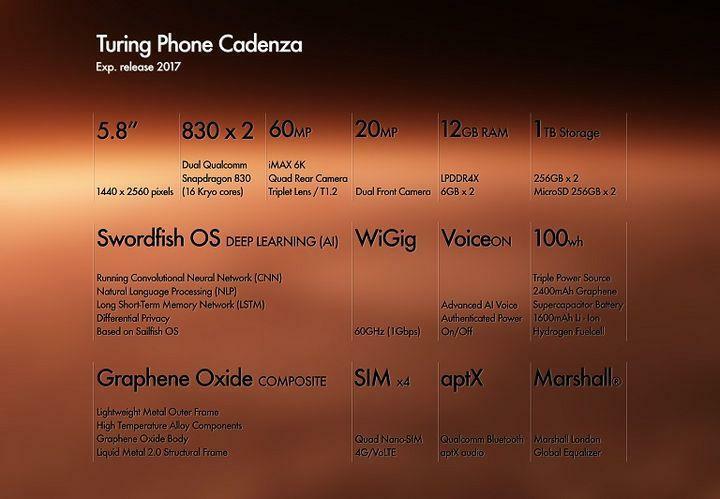 Here’s what you will get with Turing Phone Cadenza. I guess among all the people I know there will be just a few guys who will have that kind of RAM on his desktop or laptop, and that too for graphic design, rendering and gaming, of course. I don’t literally know what the hell will I do with 12GB of RAM. 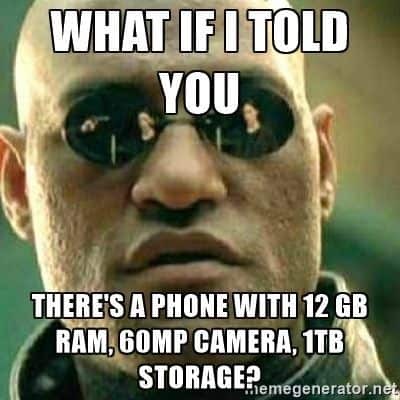 And yes, the storage- the phone will have 1TB of storage which will eliminate any chances of carrying a portable HDD separately. Everyone, especially those who are aware of the fact that their snaps were compressed by Facebook while uploading will be happy initially when the find a 60MP iMax 6K quad rear camera on the back and yeah, 20 f**king MP dual front cameras, so that you can roam around, go for hiking, have great selfies from the top of Burj Khalifa. People will freak out if they read that the phone can hold 4 SIM cards, yes, it is true. You can pop 4 nano-SIm cards into the phone with VoLTE support. Yes, that’s all. The main highlights of the phone are here and if you wish to receive more updates regarding the Turing Phone Cadenza, drop your email below so that we can send you updates. Also, if you think you know something which can beat the phone or have any opinions, queries, you are free to ask in the comments section below. Previous articleHow to get free pokemons in Pokemon Go Android app?